I know, I know. They're Space Wolves. But, to me, every dog's a puppy, even if it weighs 240 pounds and it can bite through a parking meter. I'm sure the Space Wolves don't like being called Space Puppies, but they'll get over it if you scratch them behind the ears and tell them they're a good boy. 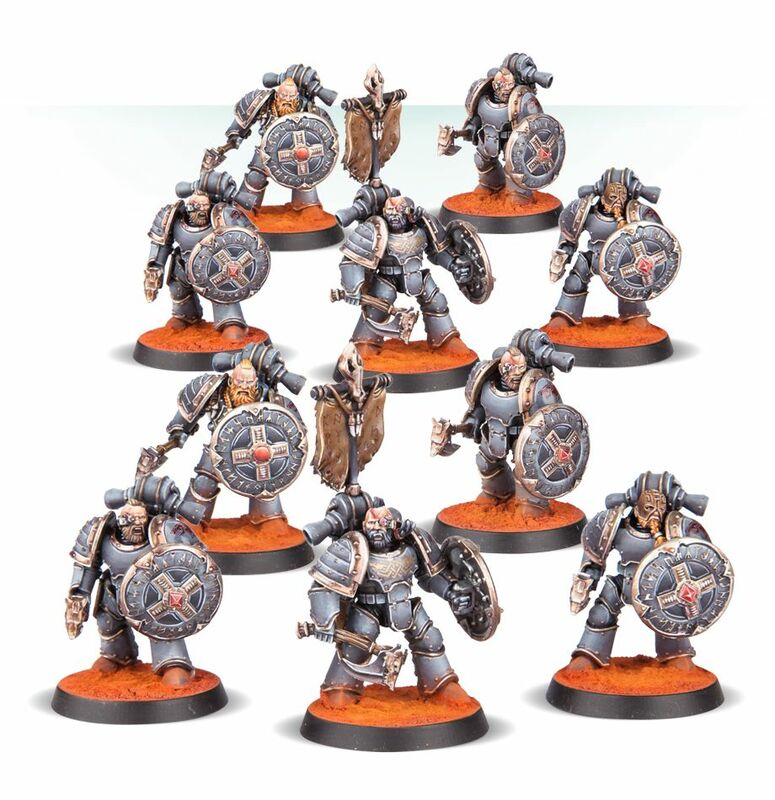 And if you'd like to expand your pack, there's several new Space Wolf sets available to order from Forge World. A set of 5 resin models wearing heavy Terminator armour designed more for function than beauty – what decoration there is comes from the furs, pelts and fangs draped over their shoulders and tied to their waists. 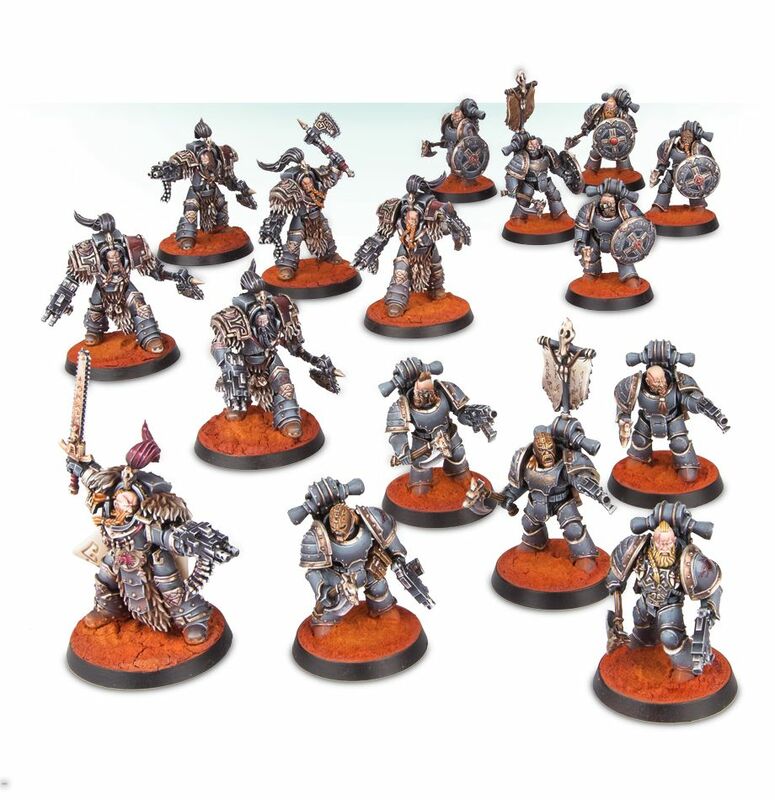 Their faces are partially obscured by splendid beards and wild hair, with large topknots billowing out behind them, and each miniature is armed with an axe and combi-bolter. Standing fierce in exceptionally detailed armour featuring runes, pelts and the markings of the Space Wolves Legion, this Praetor is modelled in an exceptionally aggressive pose, levelling his combi-bolter at anything foolish enough to stand in his way. His right hand clutches a chainsword covered in carven runes, and his splendid beard is appropriately plaited, with a skull-hewn topknot topping off the miniature. The combi-bolter can be replaced with an optional dagger, included in the kit. 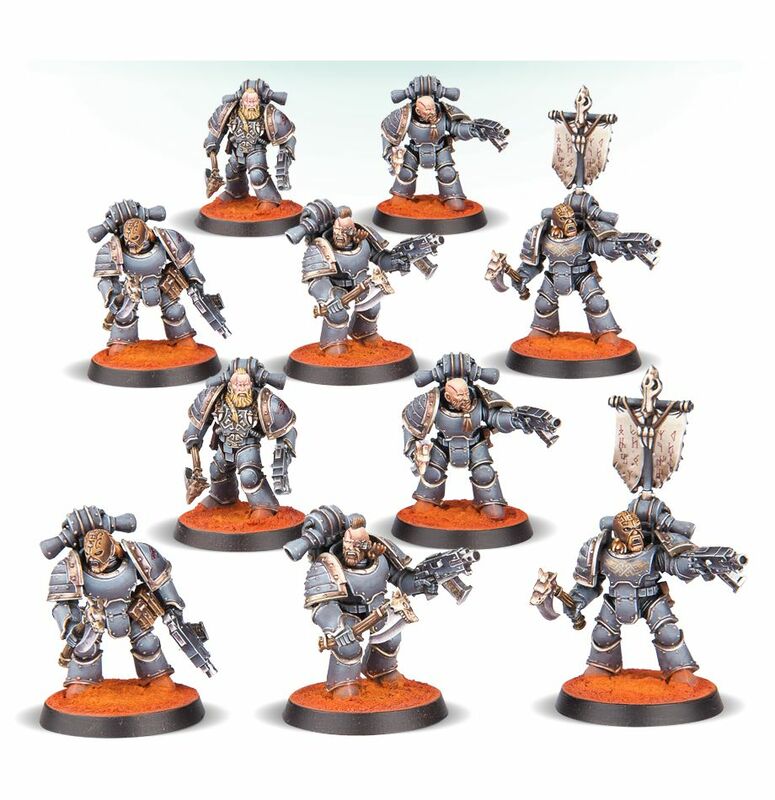 A set of 10 plastic Space Marines, including 10 Phobos-pattern bolters, 11 chainswords (one left-handed, allowing a Sergeant to take 2 chainswords), 1 heavy bolter, 1 power sword, 1 power fist, 1 Phobos-pattern bolt pistol, 1 plasma pistol, 1 lightning claw, 1 melta gun, 1 plasma gun, 1 Legion Vexilla, as well as 12 helmeted heads and 2 bare heads, with an included transverse helmet crest.